When I finished High School I wanted to be a nurse. Well, actually I didn’t know exactly what to do, and nursing school seemed better than some of my other ideas. I wanted to study for a profession. Studying was never a goal in itself for me, but something you have to go through to get an interesting job. The long traditions and professional pride of nurses appealed to me, so I started training to become a nurse in the mid 90s. We started off with a 1,5 months crash course in anatomy and physiology. I did well. We did a lot of practical training, like caring for a patient in bed, lifting and stuff like that. And I did a class in microbiology. About the same time I started volunteer work on my spare time, as a board operator at a community radio station. If you worked for free a few hours a week, they’d give you the necessary training. 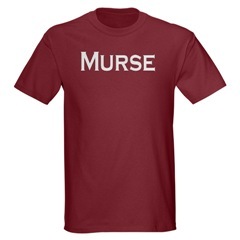 After about 6 months I found I simply could not picture myself working as a nurse. But I could picture myself spending more time behind the soundboard. So I dropped out of nursing school with a plan to become a media technician. It turned out I needed some classes in maths and physics before I could apply for college. I decided to enroll for a class that lasted a year, but only a few hours a day. But I wasn’t planning on wasting my time. If I had to wait to start college, I was gonna train to be a certified projectionist in the meantime. So for one year I would study maths and physics in the morning and then go to the cinema and work the projectors. 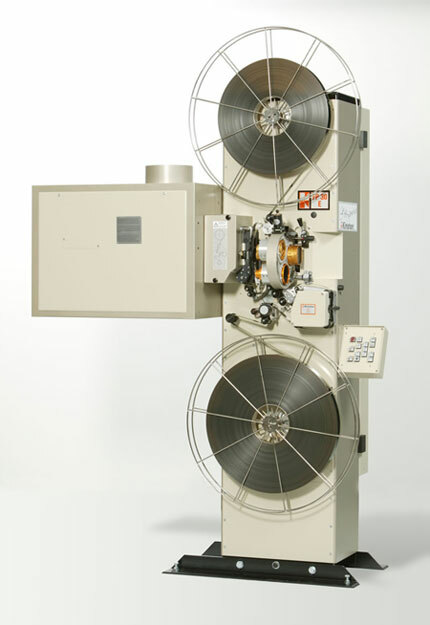 Nowadays cinemas are changing to automated digital projection. But I learned it the old way, switching projectors in the middle of the movie without anyone noticing. Now I was ready for college. I studied for three years to become a media technician. The terminology is maybe a bit confusing. “Media technician” is my translation of a Norwegian term. The studies involved all technical aspects of radio and television production, from sound recording to videography and motion graphics. Qualifying you for any technical job in the media industry. In addition to classes in electronics, sound engineering and signal transmission we had a lot of practical training. I soon found out videography and video editing was more interesting than radio work. In the last year of the program we had to make our own movie. We could make whatever we wanted, but we had to write, film and produce it ourselves. It could be a fiction film or a documentary. The fall that year my girlfriend’s 14-year-old little sister was diagnosed with acute lymphoblastic leukemia (ALL). It was a shock to all of us. She was going to start chemotherapy immediately and Christmas was probably not gonna be a good time for her. I decided I’d ask her if I could make a documentary about her first Christmas with cancer. She said yes. That Christmas was the hardest and most memorable ever. I spent the entire holiday filming. She spent most of it in hospital fighting infections. After college I got a temporary post as a editorial assistant on a documentary series at the Norwegian Broadcasting Corporation (NRK). I didn’t get to do much filming or editing, but it was a good starting point. My first daughter was born while I worked there. When she turned 1, there wasn’t any work for me at NRK anymore. Instead of finding a new job immediately, I decided to stay home with my daughter for four months. I had also started to somewhat dislike the inner workings of the media industry. I had a feeling I wanted to work with something that actually made a difference. This feeling grew as my girlfriend’s little sister had a relapse only four months after finishing a two-year chemotherapy treatment. So as the days of being a home dad came to an end, I started looking for job openings at hospitals. I didn’t think I was gonna get a job where I could use my education. I was thinking more in the line of an orderly, or some other job where you didn’t need special training to apply. But one day I found a job opening as a medical photographer and videographer at Norway’s only Comprehensive Cancer Center. It was perfect. It would offer an opportunity to play my part in fighting the disease that had struck someone close to me, while making videos. It would also mean I’d get to use the knowledge of anatomy I’d acquired in nursing school. It all came together, and fortunately I got the job. My girlfriend’s sister died in 2005. When she had the relapse, a bone-marrow transplant would be the next thing to consider. But her heart was too weak from all the chemotherapy and infections she’d been through, so in the end it was not an option. She passed away peacefully in October. That’s my story. I’ve found the sense of meaning I was searching for. Photo credits: Map, T-shirt, Projector. § 7 Responses to How did it come to this? that’s a very fine autobiographical essay, very convincing read. how “it all came together”. I am in fact very fond of autobiographies — especially those of professionals, probably because I can relate to them, mirror my own trajectory and life decisions in the other’s narrative. It’s a way of getting closer to other people’s minds and practices. Thank you, Thomas. Much appreciated. Thank you for sharing that story. I always find it amazing how we often end up on paths that we may not even be aware of consciously that ultimately turn out to be the perfect destination for ourselves. Yes, I think it’s maybe both that and that we tend to (unconsciously) make connections between the strings of coincidences we go through. Making order out of the chaos that is life. This is a delightful piece of writing about a quite interesting individual history, which reminded me my own history (as a biochemist trained in neuroscience, who ended up as a science writer and editor). I also coudn’t picture myself working neither in a research lab nor in a pharma company. May I ask you why did you pick that picture on the top and who is the artist? (Thanks to Biomedicine on Display blog as well, for bringing me up here). Thanks for the kind words, Luciana. The picture at the top is called “Path of Life Garden”. If you take a closer look at it, you’ll see that it’s a winding path containing all the elements of life. I thought it suited the theme of the post. 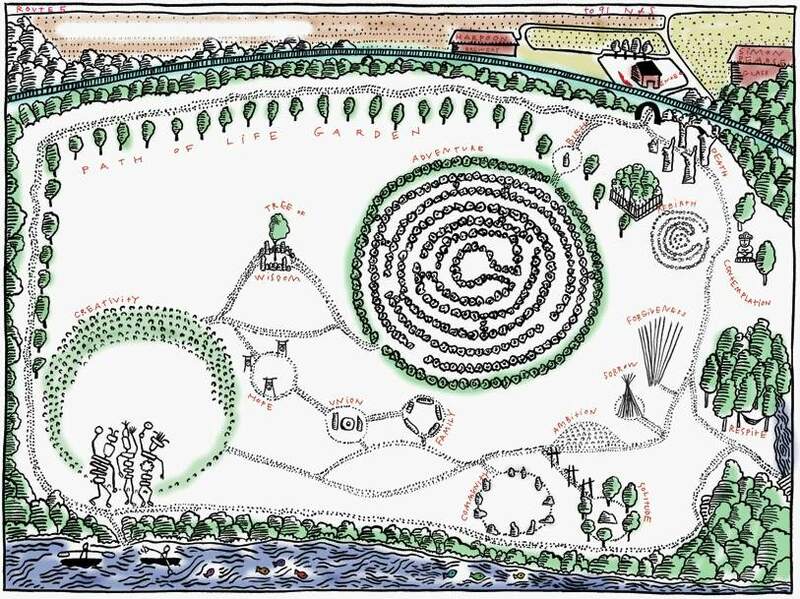 It’s actually a map of a sculpture garden in Windsor, Vermont, USA. Don’t know who the artist is, though. Your blog looks very interesting,btw! I wish I could read Portuguese. Thanks for the reply. I enjoyed reading about your way to thefield of clinical photography. Thanks again. You are currently reading How did it come to this? at The Sterile Eye.